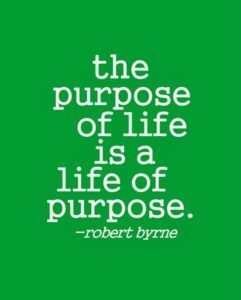 #1 – Connection to Purpose. There is one universal human quest: The search for Purpose. Whether you are rich or poor, wherever you were born … you want to know Why. Some call it Making a Difference. Some call it Service or Being Useful. But we all want it. Leaders need to demonstrate the WHY and the WHO with juicy passion on a regular basis to their people. (Not just posters and empty words.) Connect employees’ and managers’ activities to it. Gaining this heart-share from employees produces more market-share through an alchemy of engagement and focused action. Profitable growth is an efficient engine that runs on lower fuel. Digging your Purpose Well deep, pays off in a sustainable supply of Loyalty. Initiative. Passion. Innovation. #2 – Foster Emotional Intelligence. The Knowledge and Service Economy values people and relationships over data and strategy. Change moves so fast these days, no business can gain a foothold it can keep. Today, it’s all about who can adapt more quickly. Empathy, optimism, self-awareness, authenticity are to agility, what capital used to be to business – the investment you must make to achieve ROI. Organizations who invest in teaching these skills (they ARE skills) give leaders and employees the lens and the permission to spot opportunity and adapt quickly to win competitive advantage. Emotional intelligence is not simply a psychological concept, buzz-phrase, leadership fad. HOW an organization builds customer and employee loyalty is based on creating relationships. Sure you need a great product, strong execution – but that’s not the source of advantage in today’s market. The essence of any brand is an emotional connection to what it stands for and its mission. 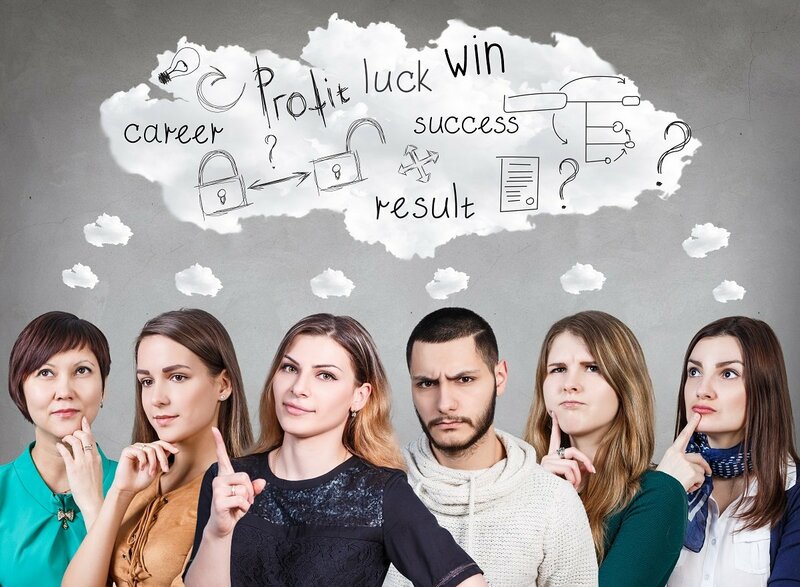 Cultivate a collective desire for ongoing change AND focus on building a brand and workplace people love through emotional intelligence, and your competition will be seeing your dust. While these softer qualities lack the obvious connection to profit that makes leaders comfortable, they are very real to your employees – and provide the foundation on which the “hard” change initiatives can be stable: Deploy technology, train technical skills, track metrics. Ignoring the human element of business will make it increasingly difficult to keep talented employees AND keep pace with quicker cycles of innovation. 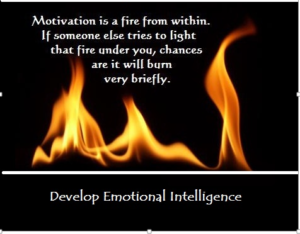 Building emotional intelligence into your culture, becomes an endless fuel source for a fire (vision). It takes a LOT less effort gathering fuel to when people want to keep it burning. #3 – Create Shared Ownership. Gone are the days of expecting people to be grateful for a job, where punching a time-clock and collecting a paycheck is what matters. Freedom in where and when work is done. Work that provides challenge and responsibility and growth. Fun, cool people to work with. Netflix’s unique corporate culture is one of the most in-depth examples of merging freedom and responsibility into a cultural engine of performance. To work at Netflix, employees must understand and balance the dance between freedom and responsibility – a major part of the evaluation when Netflix hires. If you need to leave the office at 2 PM to take a sick child to the doctor, you feel OK getting online at 9 PM (after the kids are in bed) to finish and submit the project proposal on the team’s deadline. Not because you’re “making up” time but because you don’t want to let your team down. The Co-Op model is an age-old and relevant example for creating Shared Ownership. 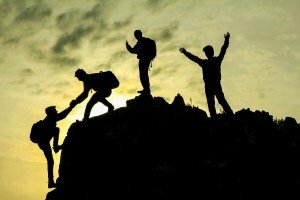 Rewards are shared based on collective impact, and sacrifices are shared in hard times. This valuable model can and should inform aspects of the modern corporation’s reward systems, at least on the regional or local level (not to replace global capitalism). Reviving a proven means of fostering true skin in the game, through alignment of individuals’ emotional self-interest with the bigger picture. Microcosm Structure – Large democratic structures do not in themselves produce full participation. Consider the Mondragón co-op system in Spain – they ensure dialogue is happening in smaller groups, before conducting larger meetings that focus on decisions. This speeds up decision making and ensures people are heard. Increased Participation – In the co-op model, showing up and placing your vote is how you continue to get voting rights. In the corporation, putting forth your ideas, whether they are a small piece of the end game or a big one, is a really important process. We have stifled it in most large companies, and even some small ones. Emotionally intelligent leaders build teams that do this with skill and regularity. Voting is a reward in itself. Non-monetized rewards – how can you create smaller rewards for showing up, putting your voice into the dialogue, and being part of the decision? Giving out movie tickets, restaurant coupons, gift cards, flowers – the small things make a big difference. Get the culture-profit engine revving up in your organization by working on (and getting better at) these 3 tried-and-true proven principles. Hint: Ask your PEOPLE how – they want to tell you.